There’s been a trend I’ve noticed for a good while lately, popping up all over Instagram. 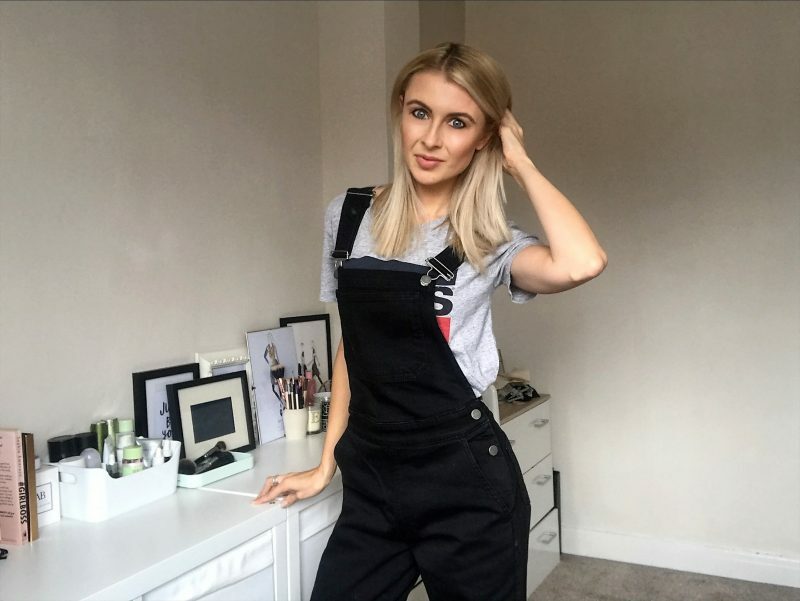 The trend itself is lots of fashionistas shopping at NA-KD fashion – a sassy, stylish online retailer with an extensive range of clothes. I spied a lot of my favourite fashion influencers rocking the NA-KD style, whether it be trendy tops, gorgeous jumpsuits, or evening dresses. And by the looks of their Insta Stories, the retailer is pretty affordable too. So it was time to explore NA-KD myself and have a go at styling up some of my own outfits! 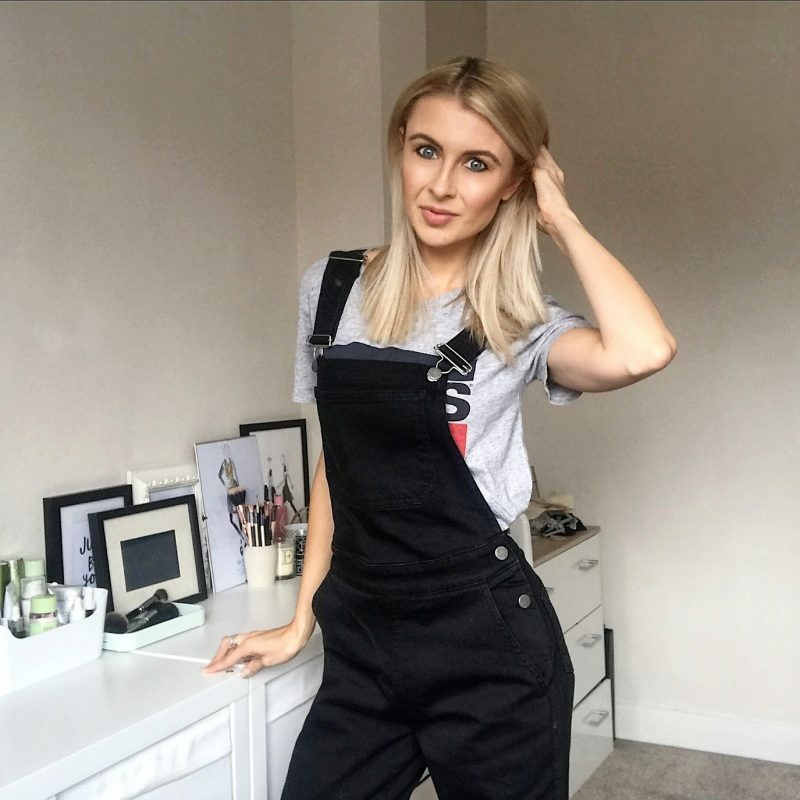 As you can see from my photos so far on this blog post, I decided to opt for styling up a rather casual, relaxed vibes look. I wanted to update with wardrobe with a nice Spring/Summer – Autumn/Winter transitional outfit. Something that could be layered up in time for the colder months. With this in mind, I searched the site for a stylish t-shirt, but one that is perhaps a little of a classic. I spied they have a section dedicated to Levi’s, so I went hunting down a grey T-shirt with the logo printed on. 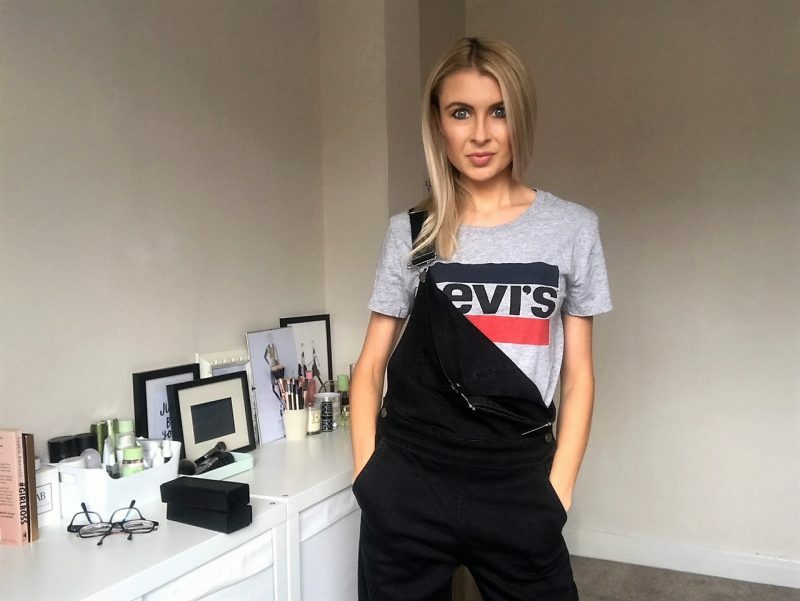 I love grey marl when it comes to wearing tee’s, and it didn’t take me long to find the one below, with it’s bold Levi’s logo printed on the chest. 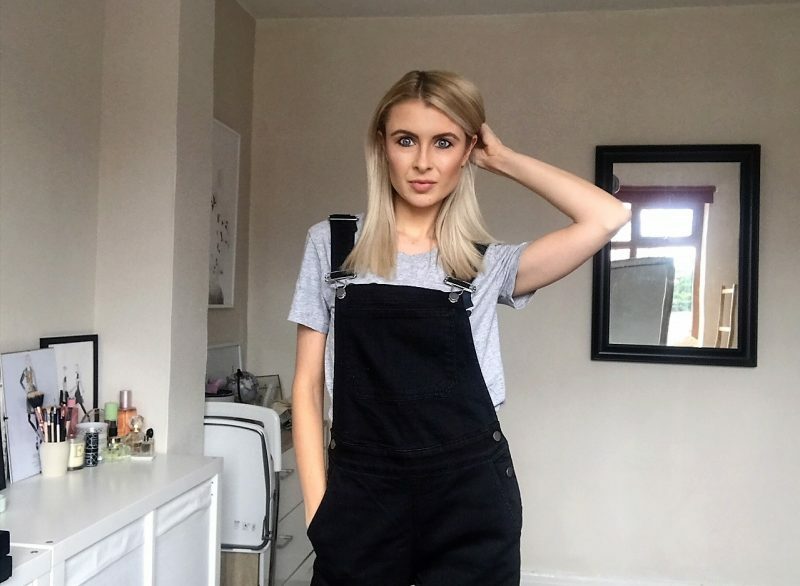 Instead of pairing with skinny jeans like I usually do, I browsed the jumpsuit pages, searching for some form of trouser all-in-one that might be able to have a loose fit over my tee. Check me out, getting all slouchy and casual with my fashion! 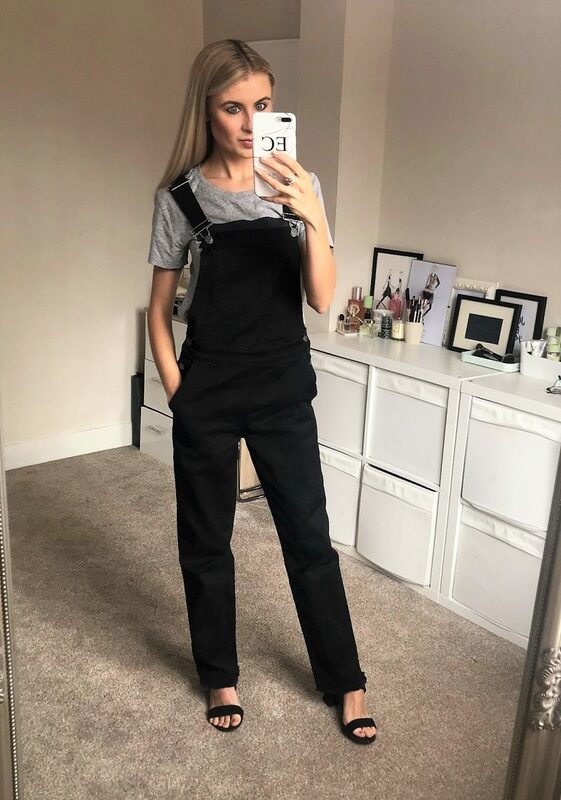 I found something even better that I hadn’t even thought of – a pair of black dungarees! 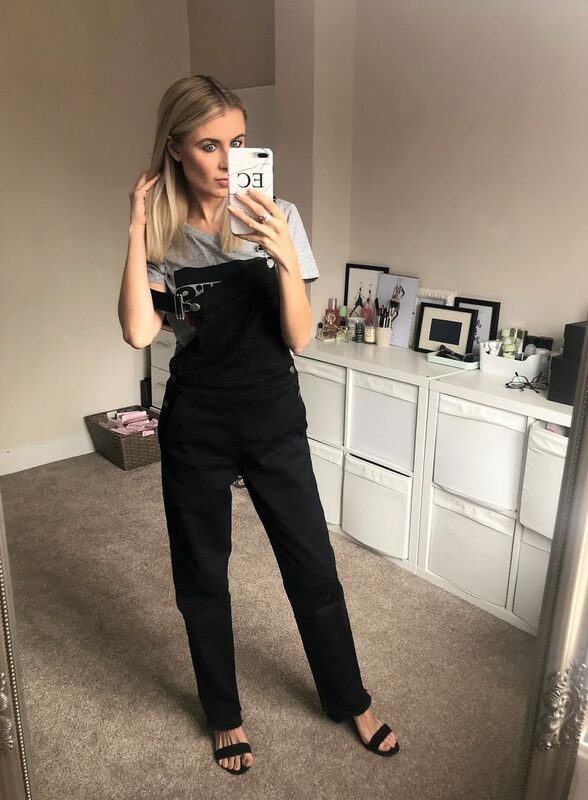 This style on the photos is slightly oversized, super comfy and a relaxed fit, in wearable and durable denim. I decided to team them up with my Levi’s t-shirt, and I’m super happy with my new Autumnal outfit. I spied a great selection of dresses and also swimwear over at NA-KD too, in which I kicked myself for not discovering this brand earlier on in the year. However, I found a gorgeous mustard-brown shade slogan sweater that I got for myself over at NA-KD too, so at least I’m prepping myself and my wardrobe for the colder months to come. I’ll post the sweat up soon, so keep your eyes peeled!